← Have a Wondy-ful holiday comic-fans! 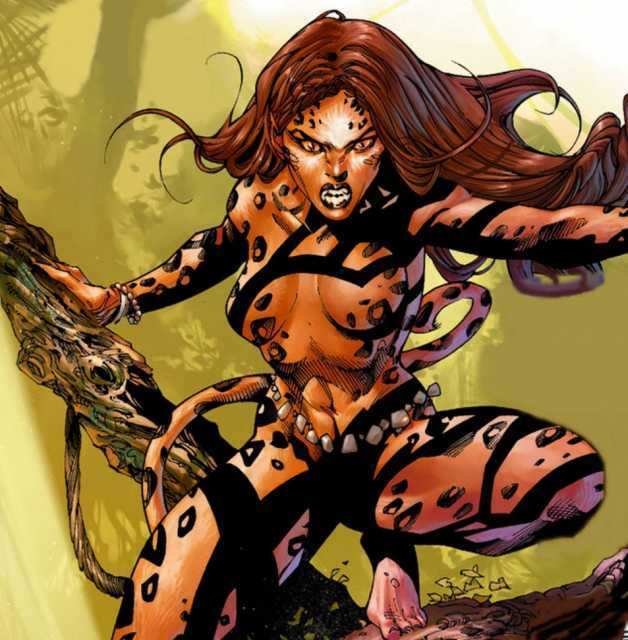 Super-Villain Sunday this week is dedicated to one of my personal favourite villains and Wonder Woman’s lifelong nemesis, Cheetah. There have been several different versions of the character over the years beginning with Priscilla Rich who was created by William Moulton Marston and HG Peter in 1943 making her first appearance in Wonder Woman #6. Priscilla is the original golden age Cheetah, a spoilt rich girl with an inferiority complex and a split personality, who when shown up by Wonder Woman at a charity event attempts to kill the awesome Amazon but ultimately fails. Later falling into the mire of her split personality, Priscilla dons a costume and becomes the first Cheetah. Cheetah number 2 was Debbie Domaine niece of Priscilla Rich, a very different personality than that of her Aunt, Debbie was an ecology activist and originally a good friend of Wonder Woman. After her Aunt dies, Debbie is kidnapped by the villainous group Kobra and told of her Aunt’s secret identity, tortured and then brainwashed by them she becomes the new embodiment of the Cheetah. Cheetah number 3 and the current and most popular is Barbara Minerva, a British archaeologist and heiress. 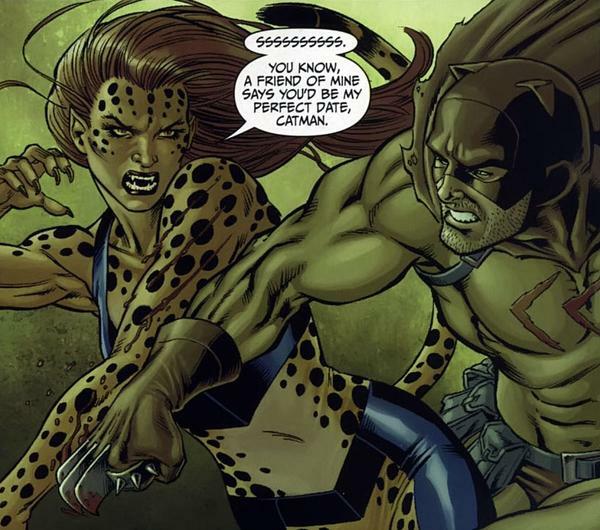 Barbara originally got her powers from an African tribe who have a female guardian with the abilities and powers of a Cheetah, after the original guardian is killed by a band of fortune hunters, Barbara with the aid of the tribe’s priest takes over the role as the Cheetah. She first clashes with the Amazonian Princess when she hears stories of the Lasso of Truth and sets off to wrestle control of it from Diana, so she can add it to her vast collection of historical items. Barbara’s history was altered recently when DC relaunched it’s titles as the New 52 in 2011, she is still a treasure hunter who comes into possession of a long lost dagger once belonging to the Amazons, after accidentally cutting herself with the blade she becomes possessed by the Goddess of the Hunt turning her into a half Cheetah replete with super speed, strength and agility. Super-Villain Rating: This cat got the cream, and everything else! Posted on December 28, 2014, in Comics and tagged Barbara Minerva, Cheetah, Debbie Domaine, Priscilla Rich, Super-Villain Sunday, Wonder Woman. Bookmark the permalink. Leave a comment.